Champagne is good for your brain! We sometimes stress about how much we’ve eaten or had to drink during the festive season, but it may be reassuring to know that champagne could help prevent memory loss. A new study published by the Antioxidants & Redox Signaling journal has revealed a link between drinking fizz and benefits to your brain. The research was conducted by the University of Reading in 2013, but started to attract attention recently after it trended on Facebook. It seems that the phenolic compounds in champagne support proteins linked to memory storage that could improve spatial memory – associated with an individual’s environment or ability to navigate. These proteins generally diminish as we age, but champagne could slow this process down, as well as delay other cognitive issues associated with growing older. Three groups of eight rats were observed completing a maze at the beginning of the study, then given champagne on a daily basis for six weeks. After this period, the rats had to complete the maze challenge again – and showed a higher success rate. The findings suggest that champagne may help to combat degenerative brain disorders such as dementia and Alzheimer’s. While the results are encouraging, this study isn’t suggesting people begin drinking bottles of the exclusive beverage at a time. Author Jeremy Spencer, a professor in the Department of Food and Nutritional Sciences at the University of Reading, has issued a word of caution when it comes to champagne intake. 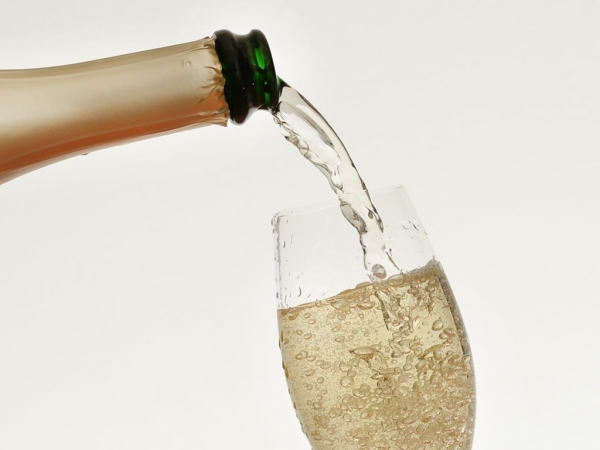 “These exciting results illustrate for the first time that the moderate consumption of champagne has the potential to influence cognitive functioning, such as memory,” he said. "We encourage a responsible approach to alcohol consumption. And our results suggest that a very low intake of one to two glasses a week can be effective." It has been suggested that drinking a few glasses of fizz each week could help prevent memory loss, but any more than that could negate the benefits and have detrimental effects on your wellbeing.